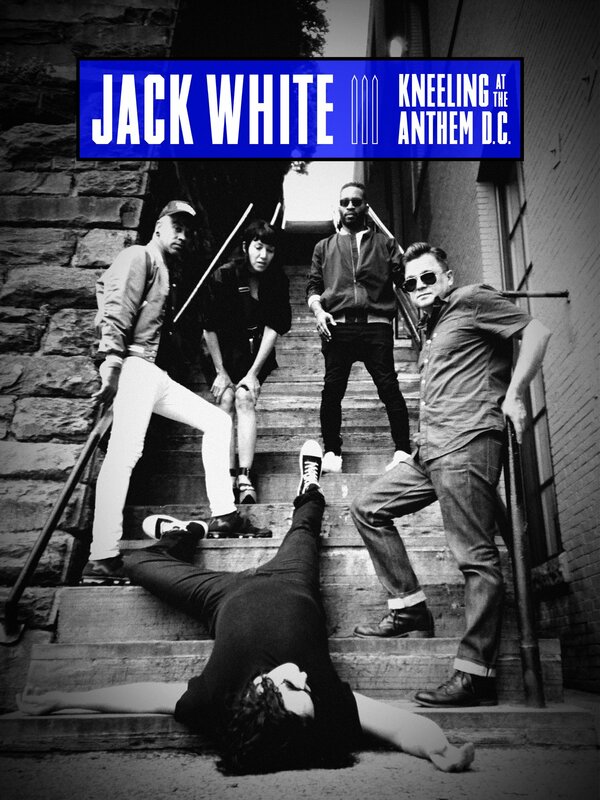 Jack White’s new concert film, JACK WHITE: KNEELING AT THE ANTHEM D.C., is out today worldwide exclusively via Amazon Prime Video, and can be viewed HERE. Directed by Emmett Malloy and filmed at White’s second sold-out night at The Anthem in Washington, D.C., the film is accompanied by a six-song Amazon Original live EP with highlights from the evening, which is also available today only on Amazon Music. The film gives fans a front row seat to White’s career-spanning set at his May 30th BOARDING HOUSE REACH tour stop in Washington, D.C.. Director Emmett Malloy, longtime collaborator and director of The White Stripes’ 2009 documentary UNDER GREAT WHITE NORTHERN LIGHTS, also joins White as he explores the nation’s capitol and gives a surprise performance for students at Woodrow Wilson High School. Watch a clip from the film featuring White and his band performing “Connected By Love” HERE.